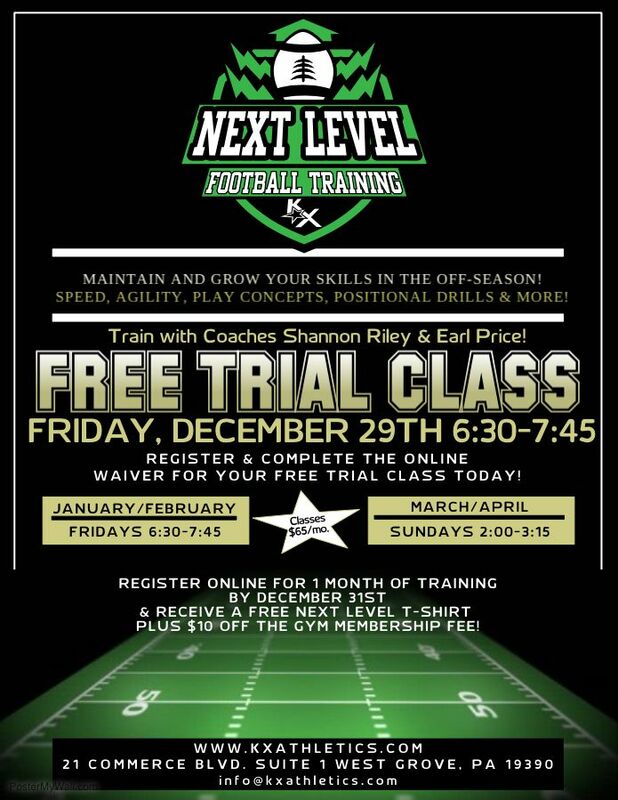 KX ATHLETICS IS TAKING YOUR OFF-SEASON FOOTBALL TRAINING TO THE NEXT LEVEL! NEXT LEVEL Training with Coaches Shannon Riley & Earl Price (EP), Head Coach & Defensive Coordinator of Glasgow High School in Delaware, has been developed to offer athletes the opportunity maintain and develop speed, agility, core strength and positional football skills using no-contact drills and training methods in the off-season. This training will strengthen the players and teams in our surrounding community as well as help reduce and prevent injuries. Players will have the opportunity to start their season with experience, stamina, overall position and game knowledge to ultimately enhance the success of their season.